Every local knows and has enjoyed our beloved Quakertown Park, but few may recall the haunted history of an African-American community that once thrived here as a township-within-a-town. In part one of a two-part series, Prof. Treat offers a glimpse into the fascinating early history of Texas’ Black pioneers and the growth of “The Quaker.” In part two of this series, Prof. Treat will explore the demise and slow recovery of Quakertown’s historical significance to Denton. Quakertown Park is today a lively center of local culture, mere blocks from the Denton Square, adjacent to the Emily Fowler Public Library, and home to a Civic Center that hosts year-round community events like the beloved Denton Arts & Jazz Festival or the annual Blues Festival, to name only a few. This past February, during Black History Month, however, the Texas Historical Commission finally approved a marker acknowledging the rich if troubling past that haunts this Denton city landmark. 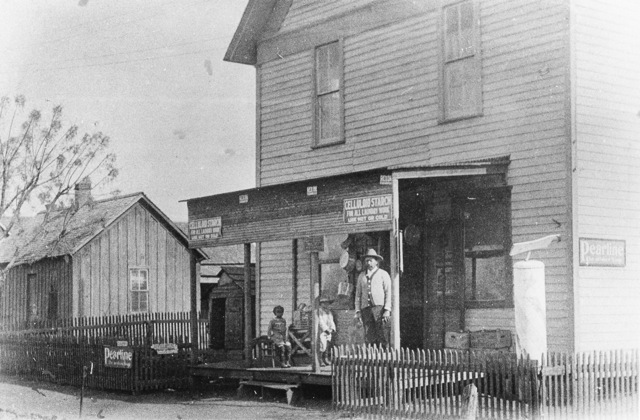 Between the early 1880s and early 1920s, the Quakertown site had been a thriving African-American community nestled in the heart of Denton. But truly understanding this very remarkable place requires a bit more backstory into some darker episodes of Texas race relations. 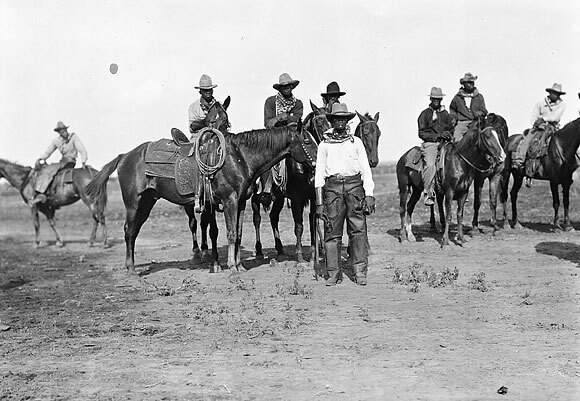 Early Texas settlement since the 1800s had also included freedmen or runaway slaves working-for-hire as cowboys under Mexican antislavery laws, and there are rumors of a Texas ‘underground railroad’ called the Mystic Red which smuggled escape slaves to feedom in the Indian Territories or Mexico through Denton County. Thus, some of these slaves and freemen, or runaways and mulattos, carved out a precarious existence in the vast frontier wilderness. We should hesitate to overly romanticize these always precarious conditions, however, since Texas was firmly ruled from its beginnings by large slaveholders, racist vigilante regulators, and commonplace prejudices that would forment fully into the American Civil War of the 1860s. But as a remote frontier outpost, Denton was exceedingly tolerant of differences as a matter of community survival against persistent environmental threats or Native American raiders. By the early 1900s, there were five flourishing African-American neighborhoods and, although most worked for white families and businesses or the Denton colleges, the “Quaker” became a tight-knit hub for Black Dentonians forced to contend with lingering social segregation. Remarkably, besides at least three churches and a schoolhouse, Quakertown soon boasted it’s own Black physician Dr. E.D. Moten, a drug store, Crawford’s General Store, the Allen Restaurant and the Smith Café, Henry Maddox’s boarding house, a tailor shop, Skinner’s Shoe Shop, and Citizen’s Undertaking Parlour. Thriving in the shade of Denton’s new “Girl’s Industrial College of Texas,” which opened in 1903 just a block from its northern border, Quakertown had little warning that the precursor to TWU would soon cast a foreboding shadow over the future of their community… and some harrowing encounters with the resurgent Ku Klux Klan. NEXT TIME: In part two of this series, Prof. Treat explores the demise and slow recovery of Quakertown’s historical significance to Denton. READ PART 2 OF THIS STORY BY CLICKING HERE. Shaun Treat is a former professor at the University of North Texas and founder of the Denton Haunts historical ghost tour. Doc has written about numerous local places and personalities at his Denton Haunts blog, and is forever indebted to the great work of our local keepers of history like Mike Cochran and Laura Douglas at the Emily Fowler Library for their tireless work in helping preserve Denton’s intriguing past. Be sure to check out our local museums curated by the fine folks at the Denton County Office of History & Culture, and follow @Dentonaut on Twitter for local happenings.